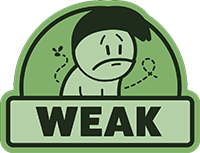 Sigi - A Fart for Melusina is ranked in the 3rd percentile of games scored on OpenCritic. Overall this game is wonderful. It screams play me and don't quit till it's over. I couldn't stop playing even after I beat the game. I must have completed this game over 12 times in row the first night I played it and even played some more the next day. I finally did complete the final trophy needed for the platinum but this game wasn't deleted off my PS4 afterwards because of just how much wholesome fun it is. 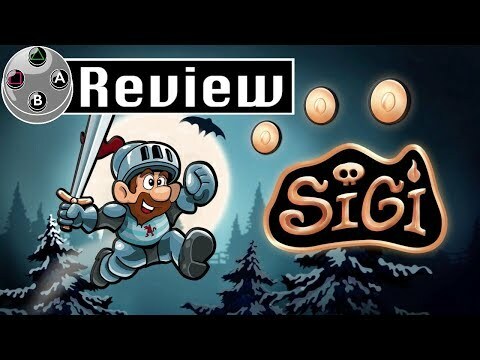 By no means is Sigi a perfect or even great platformer, but given its humble aspirations (and price) it’s a pretty decent experience from start to finish. There’s some weapon variety, surprises, and the elements it borrows from a few different series are smart but never derivative. If you’re feeling in the mood for a quick and satisfying bite of greasy video game fast food Sigi is a decent guilty pleasure. As with most traditional platformers, there isn’t much of a story here. You play as a knight who hears a beautiful mermaid singing. Before you can talk to her, she swims off. You spend the rest of your adventure chasing after her. It isn’t much of a driving factor, but one isn’t needed because the primary focus is on gameplay. But if you were even vaguely interested in this game, I'd recommend it. It's fun to play and not a huge commitment, so you can indulge in a little platforming for an hour. Sigi: A Fart for Melusina is a fun, funny and addictive game, but not without several issues that sometimes worsen the experience. Its aesthetics and soundtrack are so well-made that it seems like the developers "forgot" to work on other important aspects. If the game had more worlds or stages and the bosses were more balanced, maybe it could become one of the best indie games of the year. Overall is Sigi – A Fart for Melusina a good game, well that's debatable. It's easy with some tougher bosses and can be completed quickly. That being said $5 on the eShop, so that does dictate what you are getting. If you are looking for a Ghosts 'n Goblins like (although way less difficult), then this could be worth your $5. recommend this game to anyone, yet at the price of five bucks I can’t say that you’re not getting your money’s worth. Sometimes you really do get what you paid for. If you want to play an inexpensive and brief 2D platformer while having a few laughs then Sigi: A Fart for Melusina is worth a download. The absolute bare minimum of effort was put into Sigi – A Fart of Melusina. The game is uninspired, and there are countless other platformers that would be a better use of your time.